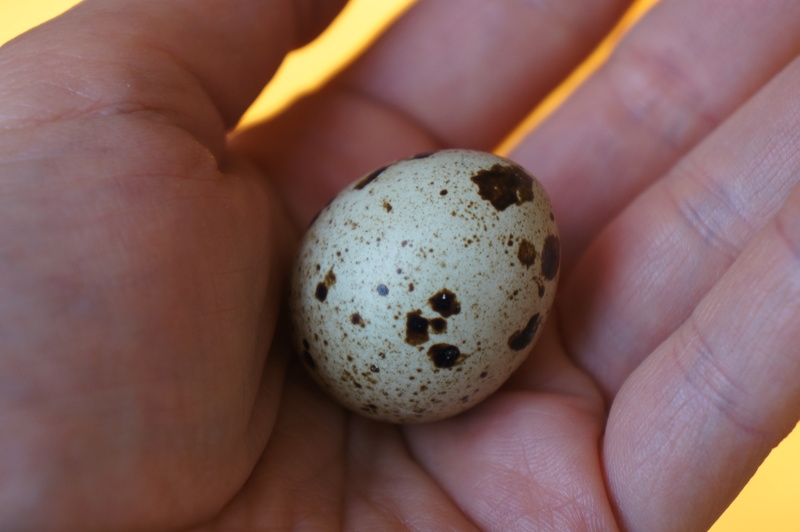 Keeping with the egg theme, I thought I’d show you a quail egg I bought at the farm the other day. This was a new food to me. They are adorable little orbs, tan with brown spots and flecks. They are hard to crack with tough little shells, but once you do you have a perfectly miniature little egg complete with yolk and white just as you’d expect. They are quite tasty too! It’s fun to find and try something new. The lady at the farm sniffed a little when I asked her if she’d tried them and if so, how she liked them. “I would never pay that price for eggs, usually just people who are allergic to chicken eggs buy them!” Oh for goodness sake, you sell them at your farm stand and you have never had the curiosity to try them? I find that very strange! By the way, just the other day one of my former students told me he had taken to heart my advice to make friends with beets. Beets are so good for you, especially your liver. I used to hate them too, but I told the class that you can decide to change what you like in the food department. The French are famous for giving their children 10-20 tastes of something new without expectation so that their palates can develop a familiarity with the new food. Having learned this I started eating a little bit of beets over time. Grated raw beets and apples with balsamic and olive oil became a new favorite. Also, scrubbing, making into wedges, coating in olive oil and salt to spread on a pan and roast in the oven for about an hour makes beets delicious. Even steamed and then just served with olive oil and balsamic drizzle is pretty good. Well, anyway, the graduate thanked me for the tip because now he eats them all the time. That was pretty gratifying, maybe someone is listening to me! !